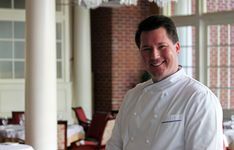 Summerville, SC – Woodlands Inn, the Carolinas’ most decorated dining venue, has appointed Andrew Chadwick as its new executive chef on the same day that the Forbes Travel Guide again bestowed Five Star ratings for lodging and dining upon the Summerville landmark. The 39-year-old arrives in the Charleston area with extensive Five Star and AAA Five Diamond experience, having worked for some of the nation’s top resorts and restaurants. Woodlands, which was recently purchased by the Linton family of Summerville and is managed by Salamander Hospitality, is currently one of only six destinations in North America to hold the Five Star and Five Diamond ratings for lodging and dining, having received AAA’s top ratings for 2011 last month. Woodlands features two restaurants: the Dining Room and Pines Café & Bar. The Dining Room is the highest-rated restaurant in North and South Carolina, and was recently ranked among the top 10 hotel restaurants in the country by Fodor’s Travel Guide. 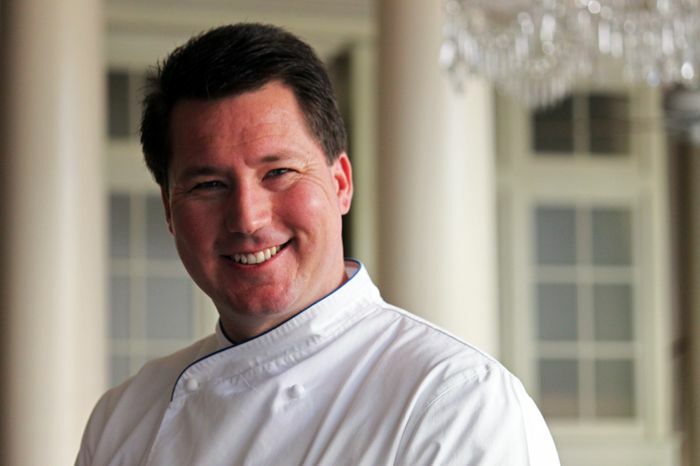 Chadwick will oversee both restaurants, plus the Inn’s growing on- and off-site catering operations. 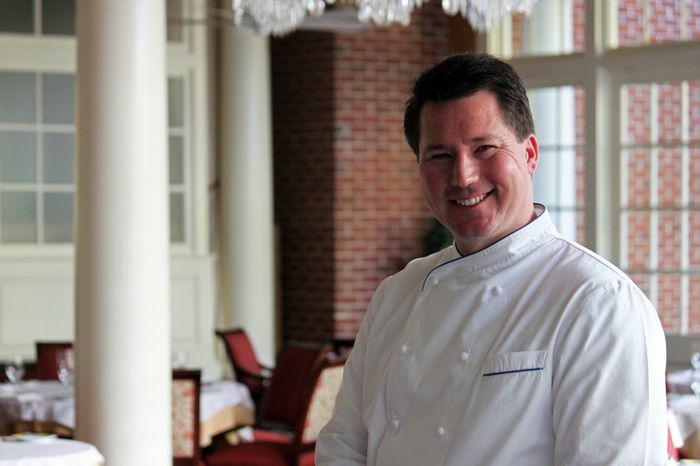 His appointment makes him the first executive chef to be hired from outside Woodlands’ culinary family since Scott Crawford in 2004. 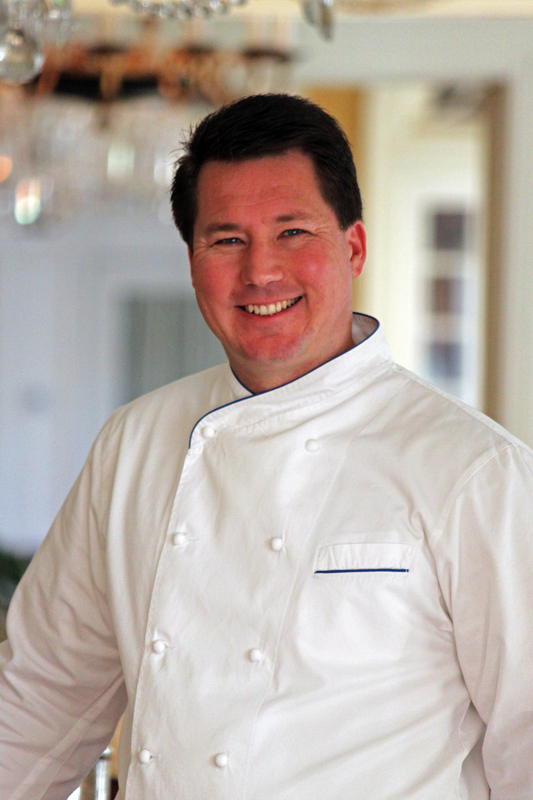 Chadwick’s stellar resume includes opening the Five Star, Five Diamond St. Regis Monarch Beach Resort in Dana Point, CA, as well serving as executive chef at the Meadowood Napa Valley Resort, which has earned three stars from the Michelin Guide. He also served as the executive chef of the Ritz-Carlton in St. Thomas, and previously operated his own acclaimed restaurant, Andrew Chadwick’s at Rutledge Hill, in Nashville, TN. The California native said he is excited about moving to the Charleston area, which he calls “one of the nation’s most talked about culinary destinations,” and creating a vibrant dining experience at the Summerville landmark. As a long-time student of John Ash, one of the fathers of America’s local cuisine movement, Chadwick aims to embrace the rapidly growing market for South Carolina grown and raised produce. Chadwick says he is looking forward to expanding on many of Woodlands’ recent initiatives to embrace the local community, including its new Grand Sunday Champagne Brunch. The new chef also takes over a kitchen in which a new state-of-the-art Montague cooking suite has just been installed. In addition to creating new menus, he plans to utilize the new equipment to enhance the current chef’s table experience, during which guests dine in the kitchen and are served directly by the culinary team. For more information about Woodlands Inn call (800) 774-9999 or visit www.woodlandsinn.com. Located in the charming village of Summerville and just a short drive from historic Charleston, SC, Woodlands Inn, a Salamander Hospitality property, is an immaculately restored 1906 classic revival mansion set amidst parkland grounds. It is one of only a handful of properties in North America to hold the Forbes Five Star and AAA Five Diamond ratings for both its accommodations and dining room. In 2010, it was also ranked by readers of Travel + Leisure magazine as fourth finest property in the US and Canada. The inn features 18 guest rooms and suites, a country guest cottage, a day spa, croquet lawn, red-clay tennis courts, a temperature-controlled swimming pool, unique meeting facilities, golf privileges at nearby area courses, and a short drive to the region’s renowned plantations. 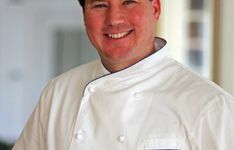 The Dining Room at Woodlands is widely known for its innovative and sophisticated version of New American Cuisine and the use of fresh local foods to create a nightly menu with a Lowcountry influence. Woodlands is a member of the Preferred Boutique and Historic Hotels of America programs. For more information call (800) 774-9999 or visit www.woodlandsinn.com. Salamander Hospitality is a privately owned and operated company based in Middleburg, VA, just outside Washington, D.C. Founded by entrepreneur Sheila C. Johnson in 2005, the company manages and develops hotels, resorts and inns that reflect the authenticity and character of their surrounding environment. The portfolio currently includes the recently renovated Innisbrook resort near Tampa, FL., host to the PGA TOUR Transitions Championship every March and the LPGA Legends Tour Open Championship in November; Woodlands Inn near Charleston, SC, which is one of only six properties in North America to hold Forbes Five-Star and AAA Five Diamond ratings for both accommodations and dining; and the under-construction Salamander Resort & Spa in Middleburg, a 340-acre equestrian-themed resort located near Washington, D.C. Salamander Hospitality also operates Market Salamander, a division of gourmet prepared food markets with locations in Middleburg and Innisbrook, and Salamander Touch, a boutique lifestyle store in Middleburg. For additional information, call (540) 687-3710 or visit www.salamanderhospitality.com.